The European continent with its historical richness and natural beauty has constantly charmed many Indonesian travelers. It seems that every year, we find ourselves adding more destinations in Europe to our list of must-visit places that we never considered before. Slovakia may not be an obvious choice among travellers to Europe, but as one of the four countries in the heart of Central Europe, it is not only beautiful – it is mesmerizing. 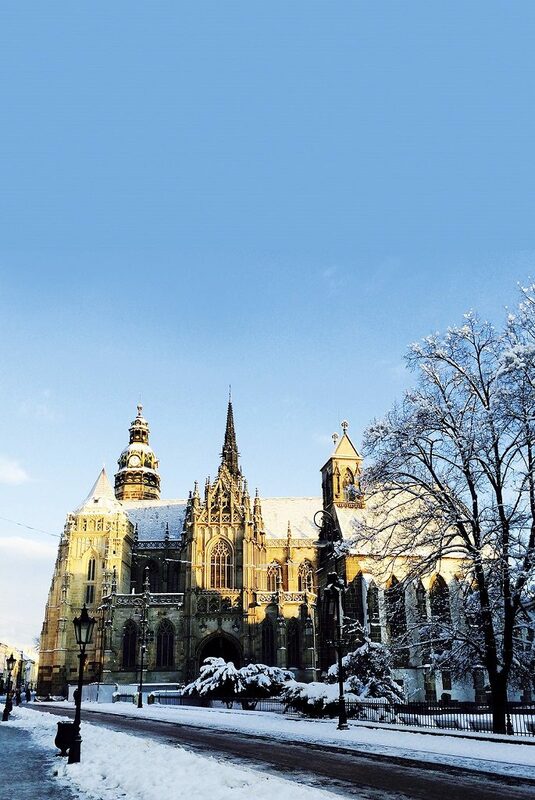 During my last visit to the country in wintertime, I discovered the gorgeous city Kosice. Located in the easternmost region of Slovakia, Kosice is actually the second largest city in the country and was chosen as “European Capital of Culture” in 2013. I must admit that I had no idea about the uniqueness of this city when it was first recommended to me. However, the beauty of Slovakia as a country never ceased to amaze me. From its charming capital city Bratislava, the spa city Piestany to the magnificent High Tatras mountain region, I saw various and stunning natural vistas filled with great history and culture. I was seriously excited to see Kosice as my final destination on this trip, and guess what? The city is indeed one of Europe’s best-hidden gems. Kosice, whose origins date back to the 13th century, originally belonged to the major cities of the Upper Hungarian Empire and was known as an important place of pilgrimage in Europe. We can still see the glory of the city by visiting its beautiful old town with the longest promenade in the country. Here, you can take a historical walk while checking out some of Kosice’s renowned landmarks such as the St. Elisabeth Cathedral and the State Theatre. Another point of interest is the Lower Gate, named after the magical underground museum complex, which includes the original town fortifications built in the second half of the 13th century. The richness of Kosice lies not only in history but also in its architecture and design. Aside from some great establishments that can be found in the old town, the city region also preserved some of the best architectural and design marvels such as the Baroque monastery complex of Premonstratensians called Jasov. Built on the site of an older Gothic building in 1766 by renowned architect Anton Pilgram, this monastic Baroque church looks quite glamorous in its lavish details made by Italian artists. In addition to a beautifully conserved French garden, the monastery’s design is unique for having 365 windows, 12 chimneys and 4 gates representing the days, months and seasons of the year. Make sure not to miss the impressive library that features over 100,000 books with the oldest ones dating back to the 16th century. It is a type of place where time is beautifully preserved. A mere 30-minute drive from downtown Kosice lies Abov region, where we can find not only the gorgeous Jasov monastery, but also another stunningly designed building from the past: the Betliar Manor House. Built as a hunting manor by the noble family of Andrassy in the 17th century, it is without a doubt one of the most exquisite and well-kept manors of its kind. Here you can find that the whole interior and furniture are still intact from the time when the Andrassy family was still present. 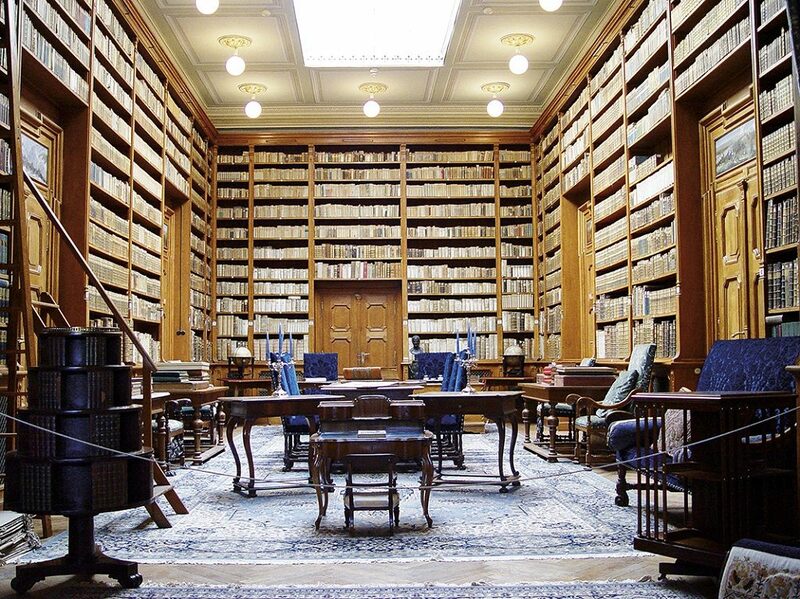 Highlights include the remarkable library that was built by Leopold Andrassy in 1790. I was almost hoping for Dumbledore to suddenly appear as I roamed through the library as it reminded me of the Professor’s office as seen in the Harry Potter film series. 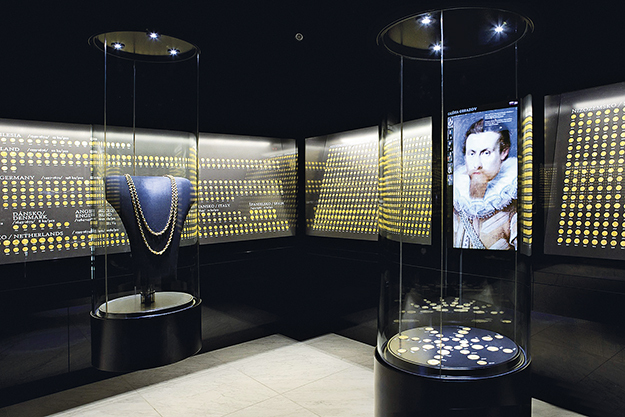 Kosice as a city also has real treasures that are kept inside the safety vault of the Eastern Slovak Museum in form of 2,920 gold coins, three gold medals, and a Renaissance gold chain measuring 2.14 meter in length. Deposited in a copper casket engraved with animal motives, the treasure was found in the former building of Spis Chambers on 24 August 1935 during the reconstruction of the building. Nobody knows about the owner of this casket and the gold, or how it ended up there – but these treasures are a real beauty to look at. I love the fact that Kosice is a walkable city and like in Venice, it is nice to get lost in this city’s old alleys and streets. 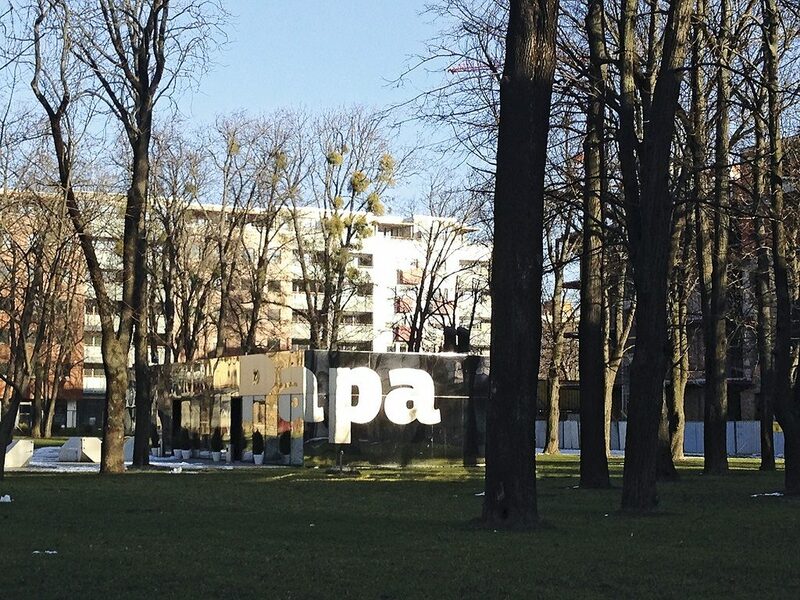 On the contemporary side, I went to Kulturpark where former army barracks from the late 19th and early 20th century have been transformed into a modern multicultural center. This is a great art compound where you can find anything from classical music, film, dance and literature to great visual arts exhibition from the region. You can also enjoy the outdoor facilities, especially when the weather is bright. Three days in Kosice turned out to be not enough as the city had so much to offer. Luckily, I managed to catch the duo opera performances of Cavalleria Rusticana and Pagliacci at the State Theatre and was amused not only by the quality of the production but also by the lavishly gilded gold ceiling designed by architect Adolf Lang. Before I returned to Bratislava, I decided to do one last thing to fulfill my sweet indulgence by enjoying Tokaj Wines. Tokaj is a famous wine country located between Slovakia and Hungary, noted for its sweet wines made from grapes affected by noble rot. It is a style of wine which has a long history in this region. 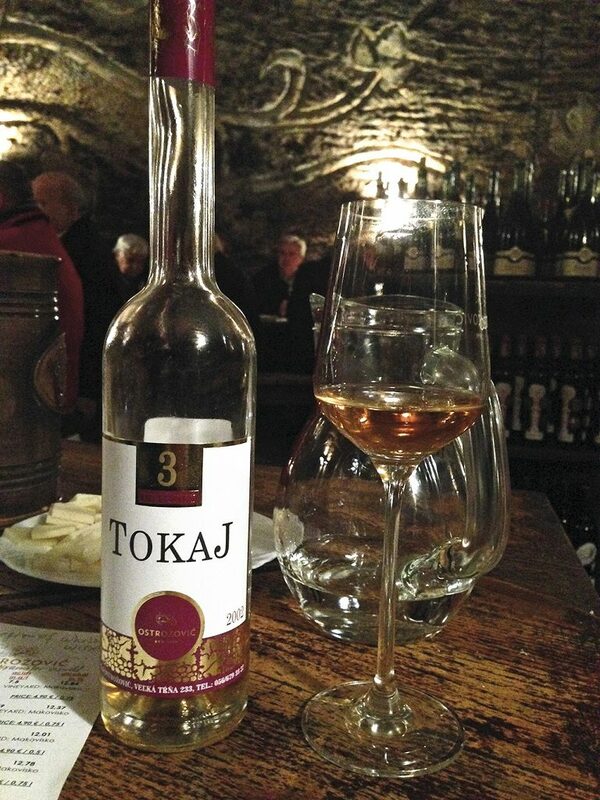 For centuries, Tokaj has been renowned as the nectar loved by European royal families. One Tokaj vineyard that caught my attention is called Ostrozovic, widely praised as one of the best Tokaj makers in this region. Established in 1990 by the lovely couple Jaro and Jarka Ostrozovic, this vineyard has impressive underground tuff wine cellars where visitors can go for wine tasting. It is truly one of the most memorable wine tastings I ever had, drinking delicious sweet wine in a unique ambiance. It is definitely a must-visit when you are in Kosice. I was very happy to discover a great European city like Kosice that left me with unique memories. If you are looking for completely new and different experience, then you might want to consider Kosice in Slovakia. I personally cannot wait for another visit to this enchanting city.